Is there more to becoming rich than the accumulation of money? The Root of Riches is bursting with insight and practical examples and will change how you think about money and transform how you live. 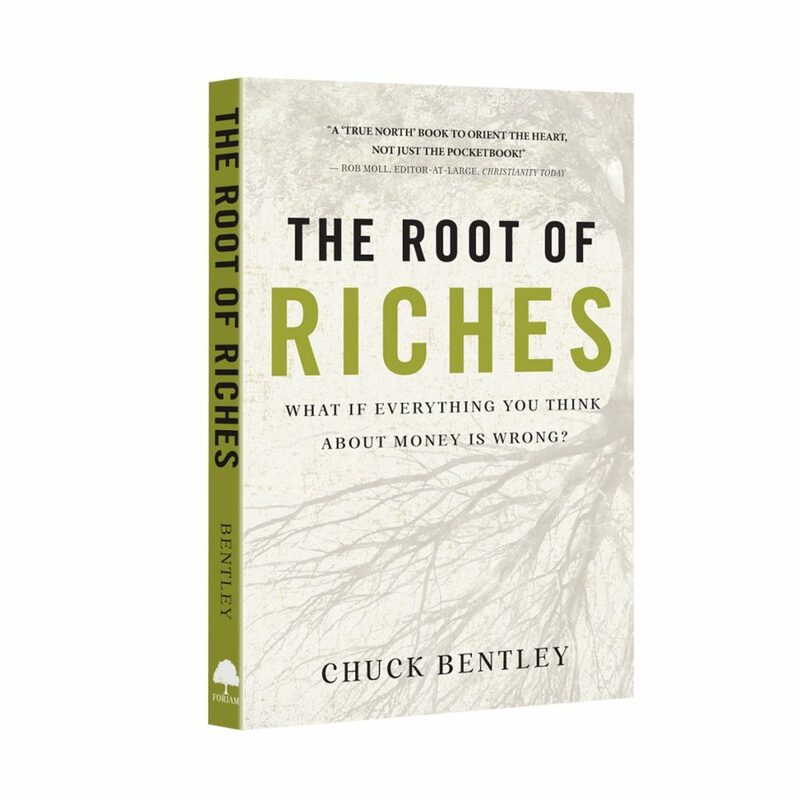 Note: While the world sees wealth in a complete materialistic way, Chuck Bentley challenges us to rethink the definition of being rich. Note: It is not money that is evil, but rather the love of money – God has his own way of gathering riches, which often clashes with the world’s standards. Going with the biblical comparison of human beings being like trees, the love of money is like a root that causes evil. Note: We are born into the world as Me trees with roots such as “love of money”, “love of self”, “love of pleasure”. What motivates our actions depends on our roots – are your roots those of a Me tree or of a He tree (love of God, love of people, love of giving)? Note: The foundation of your beliefs will prosper the seeds you sow. This chapter uses the illustration of the “Me Tree”. Your beliefs are the “roots” that support an unbiblical idea about work and money and prosper bad fruits such as corruption, covet, greed, etc. The solution to the “Me Tree” isn’t a superior form of humanism. God’s way isn’t defined by financial success; it is marked with transformation from a “Me Tree” to a He Tree”. The book states it best, “Money does not solve financial problems. Only a change of beliefs will solve the root cause of the problem.” This is accomplished through prayer. Note: The current thought on unhealthy spending is that it stems from subconscious roots. The author would like to combat that it can be controlled from the conscious realm of the mind. The power of God’s word is what will convince our rational minds to change our roots, and therefore our money behavior. We can all become captivated by the world, but we must hold on to God’s word. The beliefs we choose to express do affect the “forest” around your “Me Tree”, and disaster will come if Christians choose to follow “forest” instead of God’s values. Note: Money has the intention to be used for good causes, but left to our own devices, the “Me Tree” will direct money to meeting our own desires. Satan knows this and uses wealth to drive us away from God. This chapter details more of the transformation of the “Me Tree” into the “He Tree”. There are signs such as the belief in the Bible, expression of gratitude and giving, servant to God, humble, faithful in small things, and focused on eternal rewards. From these roots, the “He Tree” produces supernatural fruits; but, if we allow the “He Tree” to die, we will become impoverished. God wants us to enrich the world. Note: Riches come from Christ; it is not merely money, and it must be shared. If we love God, out of that love we will want more of the life He offers, which means money and other riches are to be given out freely. Note: One of the greatest strengths of He Trees is that they interlock their branches with each other and dig their roots into the Word; becoming stronger in Christ and as the Body of Christ. Note: We were created to work well in the area God gifted us, be free from owing anyone, care for our family, help others prosper, and save our resources so God can use us to do it all. Note: Jesus wasn’t tricked into letting us become less than we are (when Satan tempted with another way than the one God planned); we should let God make us into people who aren’t tricked into letting Him become less than He is.